She was born in Porto Santo Stefano (Italy) on April 16, 1770, in the bosom of a fervently Catholic family. He was baptized the next day with the names of Catalina María Francisca Antonia. She creates in an environment imbued with an exemplary religiosity. His father, Lorenzo Sordini, promoted that in the parish church was exposed to public veneration, in special circumstances, with a spirit of love and reparation, the Blessed Sacrament, as on Thursday of Carnival. 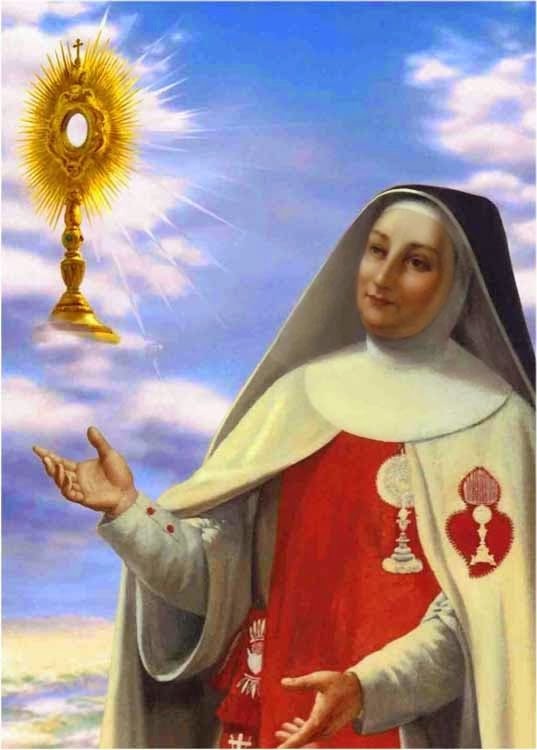 Therefore, from her adolescence, Catherine spent hours in adoration with Jesus in a sacrament. On April 20, 1802, Abbess was elected, a position she held until 1807, when, following God’s will to want a new institute and write the Constitutions, she moved to Rome, with some sisters and the blessing of Pius VII, to the first monastery of the Perpetual Adorers of the Blessed Sacrament, in the convent of San Joaquín and Santa Ana, in Quattro Fontane. The foundation took place on July 8, 1807. On his initiative, the church was opened to the adoration of the lay faithful. Mother Mary Magdalene prophesied before the deportation of Pope Pius VII to France: “But they are not afraid, no one can harm and return to glory in Rome.” The cross also came for the Adorers, in the form of suppression of the institute; and she was exiled to Florence. The Napoleonic regime fell, in 1814 the mother returned to Rome with some young Florentines and on September 18, 1817 she wore the new religious habit, which she had seen in vision the “day of light”: white habit and red scapular, symbols of the virginal candor and the love of the crucified and eucharistic Jesus. On March 10, 1818, the Holy See officially recognized the congregation, that Mother Mary Magdalene was placed under the patronage of the Virgin of Sorrows. She died on November 29, 1824 in Rome, where his rest rests. The Order now has more than ninety monasteries scattered around the world.